Great Black-backed Gulls bobbed in the river with a few Double-crested Cormorants and Red-breasted and Common Mergansers. 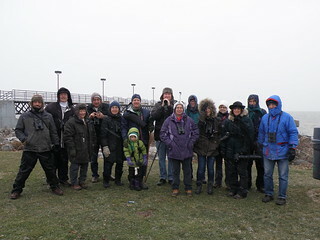 Hundreds of Red-breasted Mergansers flew west in flocks low over Lake Erie. As at Edgewater, gulls exploded into the air when a Bald Eagle cruised through. 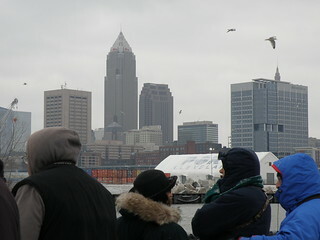 Description: The mouth of the Cuyahoga river was teeming with gulls, but no unusual species today. Birders met at the Edgewater Park fishing pier, where a Bald Eagle sent gulls scattering off the water. 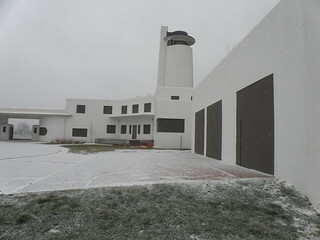 A short drive to Wendy Park, then a slippery walk to the old Coast Guard Station allowed great views of the mouth of the Cuyahoga river. 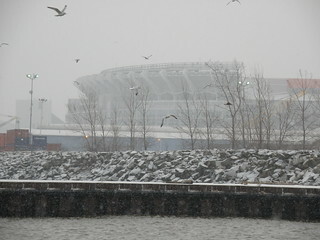 Breaks in the snow flurries allowed an occasional look at the gulls and cormorants on the breakwalls. 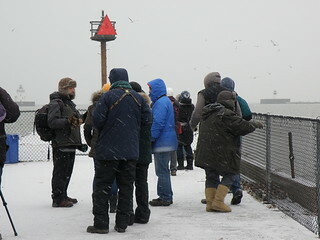 Leader Chuck Slusarczyk explained some fine points of gull identification. Great Black-backed Gulls bobbed in the river with a few Double-crested Cormorants and Red-breasted and Common Mergansers. 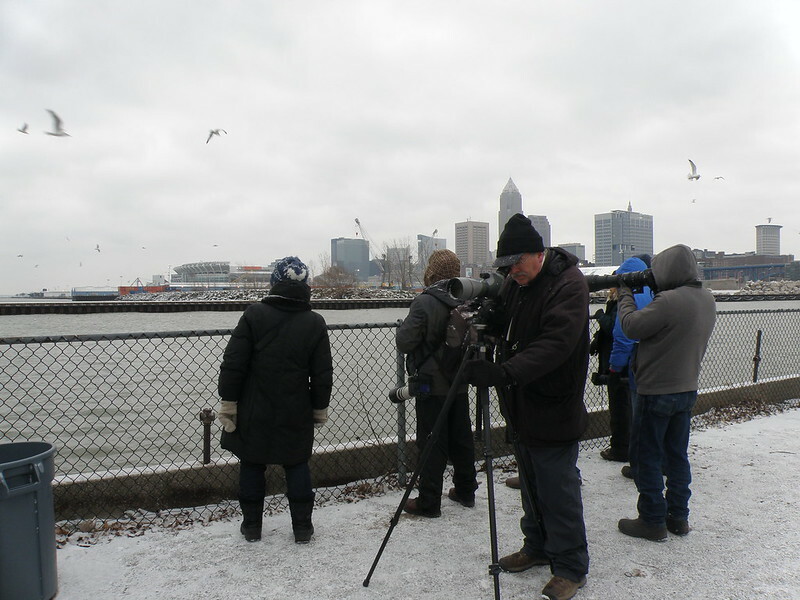 Hundreds of Red-breasted Mergansers flew west in flocks low over Lake Erie. As at Edgewater, gulls exploded into the air when a Bald Eagle cruised through.